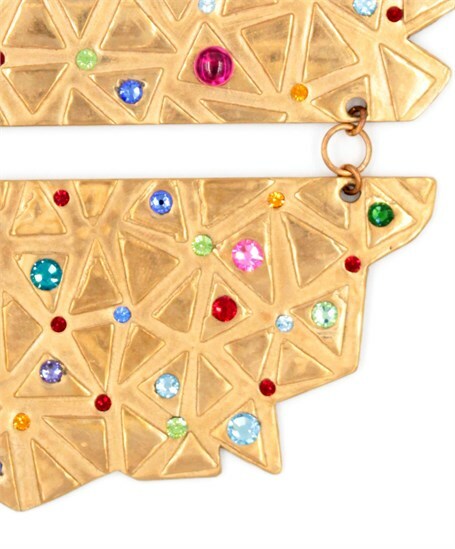 The Deco Necklace is a modern and contemporary bronze necklace that features Swarovski Crystals and gem stones. 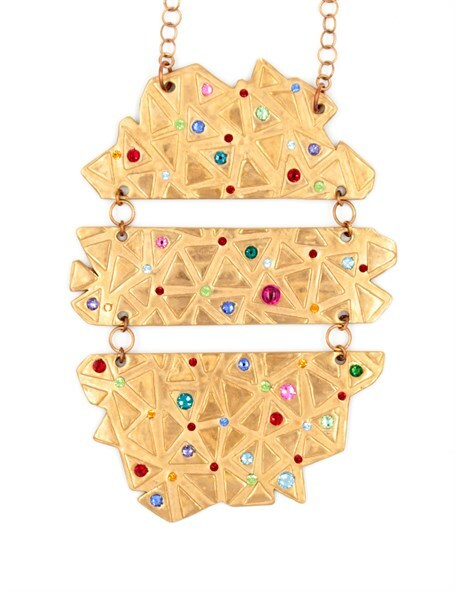 This necklace is from her “Klimt” series and measures 29" from clasp to bottom of pendant. The three piece hinged pendant measures 4.25" and are set with Swarovski crystals and a Ruby cabochon.